Mercedes de Artaza is a senior lawyer in the competition and antitrust, foreign trade, and mergers and acquisitions departments. She joined the firm in 2011. She graduated as a lawyer from the Catholic University and completed her masters’ degree in corporate law at the Austral University. She is also a professor of company law in the University of Buenos Aires since 2007. 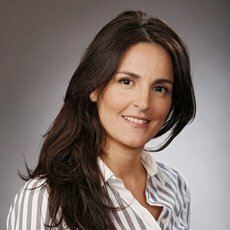 Her practice focuses on providing advice on anticompetitive and anti-dumping investigations, foreign trade and import-export regimes, the defence of merger, acquisition and joint venture operations before the competition authorities, compliance, data protection, anticorruption laws, and advice on corporate and contractual matters. She has represented important local and foreign companies in matters relating to her area of expertise. She is the author of several publications on issues linked to her areas of specialisation and a speaker at conferences in Argentina and abroad. Her professional performance has been recognised by various specialised publications, including Chambers Latin America and Best Lawyers.